Amanda Watters, ND is an attending physician and course co-director for Pediatrics & Geriatrics at National University of Natural Medicine (NUNM). 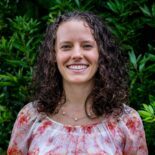 She is also in private practice in Portland, OR at Integrative Pediatrics where she provides naturopathic primary care to children and adolescents. She graduated from NUNM where she then completed three years of residency, and was the chief resident in her final year. In 2017 she also served as the university’s lead pediatric clinician for the Soy Sano/I’m Healthy Grant, which helped provide access to medical care for uninsured pediatric patients. She has a strong interest in developmental and behavioral pediatrics, and a passion for de-stigmatizing mental illness. Dr. Watters offers workshops on suicide prevention and trains medical providers and students how to skillfully invite an open dialogue about the subject. She finds that the first place we must all start is with ourselves – we have to become more comfortable and skilled in having conversations about suicide before we can expect others to do the same. When not practicing medicine, you can find her spending time with her partner exploring the Portland Japanese Garden, frequenting their favorite Thai food restaurant, or planning her next adventure abroad.